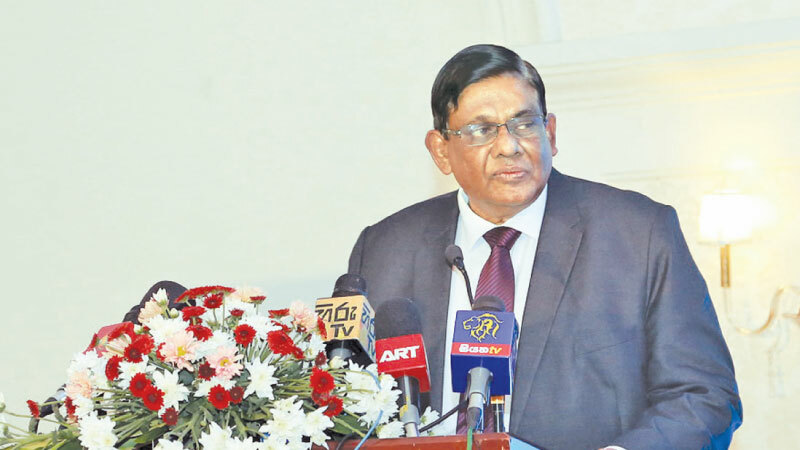 The economic diplomacy activities carried out by the Sri Lankan missions abroad and the foreign ministry at large is commendable said President of National Chamber of Commerce of Sri Lanka, (NCCSL) Asela de Livera at the 60th Annual General Meeting in Colombo. He also said that initial steps taken by the authorities to prepare the National Export Strategy (NES) for Sri Lanka towards “Sri Lanka – An Export Hub driven by Innovation and Investment” is a step taken in the right direction and it should be revived at regular intervals. “I believe that there should be a moderation in imports. More stringent measures are needed with regard to unessential imports that are causing this deficit in spite of the growth in exports. Maybe at least till the situation improves”. Main driving force of Sri Lanka’s economy is the SME sector and 75% of the enterprises are SME’s and they provide over 40% of the employment in the country in diversified sectors ensuring growth. Cross border production based on fragmentation theory is becoming popular in the SME’s spectrum. Due to technological advances various stages of manufacture could take place in different countries. I am proud to note that the National Chamber of Commerce works hand in hand with Provincial and District Chambers to address this situation. As per our statistics the shortages of skilled labour across all industries continue to be a hindrance in manufacturing and service industries in Sri Lanka. It is vital for Sri Lanka to have policies to increase skilled labour availability directed towards export related industries.There should be change in the attitude of young people joining industry for the first time to get into semi-skilled or hands on jobs. Social acceptance for these jobs is at a minimum level. The government, private sector and media at large have a great national responsibility to make this transformation to happen. Commenting on agriculture he said that food and security in crops is very important to our economy. “We need to value add to our agricultural products and find markets for newly developed products”. For many years weather had failed us and this should not be an issue even now if we encourage new methods to agriculture. Dubai grows its own food crops and even exports them to other gulf countries. These are desert countries.Green houses and tunnel agriculture can be adopted to save water, and control the environment.